I know, I know, I did NOT win the Newbery Honor in 2014. So why do I have this? 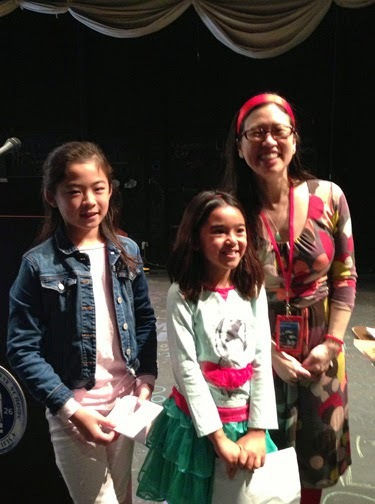 Well, because I attended La Jolla Country's Day School's Newbery Award ceremony! 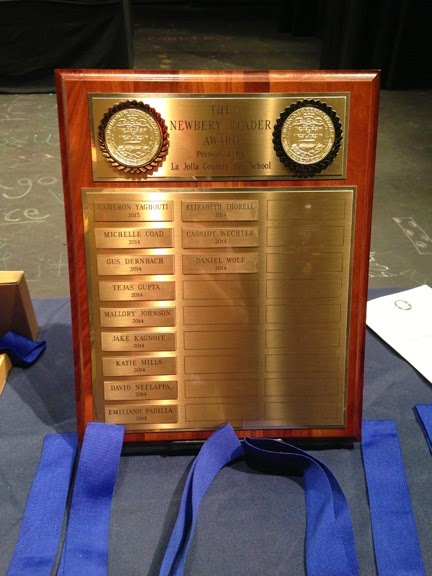 It's an amazing program where students who have read 30 or more Newbery books are honored. 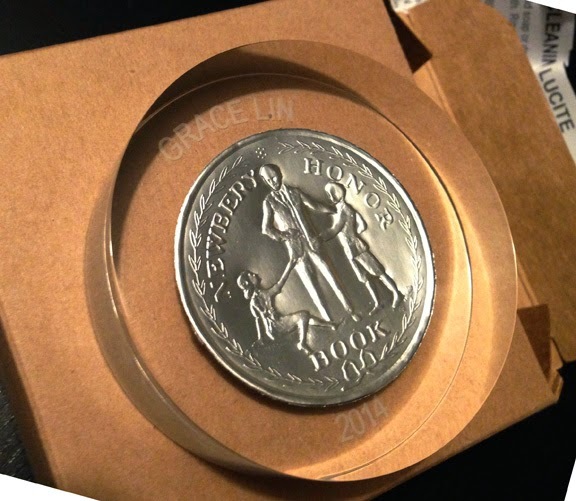 To receive a paperweight like mine above, one has to have read at least 50 Newbery books (I might have to catch up on some reading...). 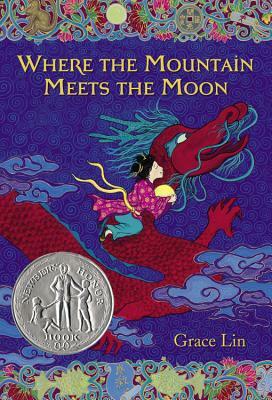 I love how much the Newbery Award is respected and revered with this program. And I was completely honored that they invited me to be the speaker at the ceremony. For the first time, I wished my book had won a gold sticker instead of a silver just so I could be worthy. 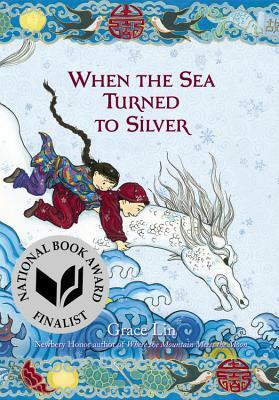 "My mom loves Grace Lin because she is one of the very few Asian American children's authors, and she thinks it's important for kids to see themselves reflected in books. 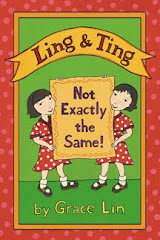 I love her books because they are funny, touching and you could lose yourself in her books..."
Wow, isn't that nice? I think I need a tissue...no tissues? Well, how about a drink? 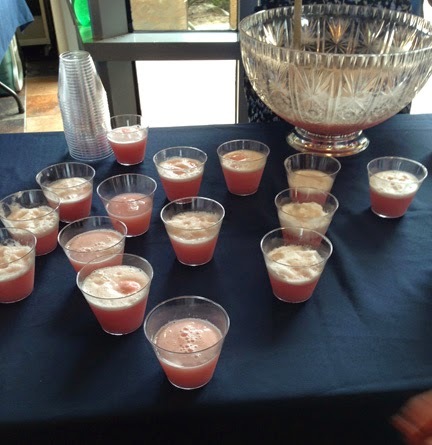 of "NewBERRY Punch?" ha ha ha! So a very special thank you to them for all their hard work and for inviting me! It was a great time for all!